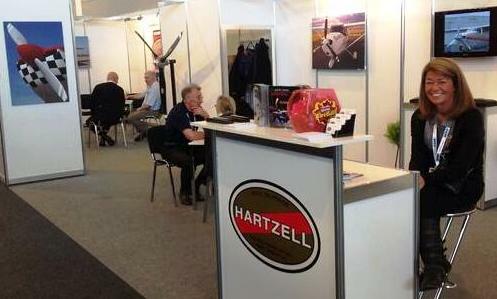 Piqua, Ohio, April 18, 2016 – Hartzell Propeller and its extensive network of European Recommended Service Facilities are co-exhibiting at AERO Friedrichshafen, the global show for general aviation, from April 20-23. Hartzell Propeller is highlighting approvals for the five-blade structural composite propeller for the Piper Meridian and M500, new carbon fiber Trailblazer constant speed propellers for American Champion Scout aircraft and two-blade lightweight Bantam propeller for use with the Rotax 912 and 914 series four-stroke engines. and Hartzell’s newest European Recommended Service Facility Ruag of Lodrino, Switzerland. Hartzell Propeller is the global leader in advanced technology aircraft propeller design and manufacturing for business, commercial and government customers. The company designs next generation propellers with innovative “blended airfoil” technology and manufactures them with revolutionary machining centers and robotics. With ASC-II™ composite technology, Hartzell delivers optimal performance, strength, and durability with carbon fiber blades.